In this class, students will learn about tropical birds by meeting one up close. 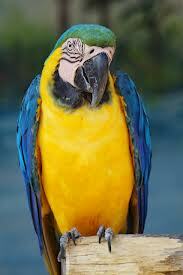 We are going to meet the Blue and Gold Macaws. Please RSVP by May 12, 2013. Thank you, Katy, for setting up this class and sharing it with others!